At 14 Darling Street stands an iconic Cape Town building - Mutual Heights. Now a residential space, it was initially the headquarters for Old Mutual. 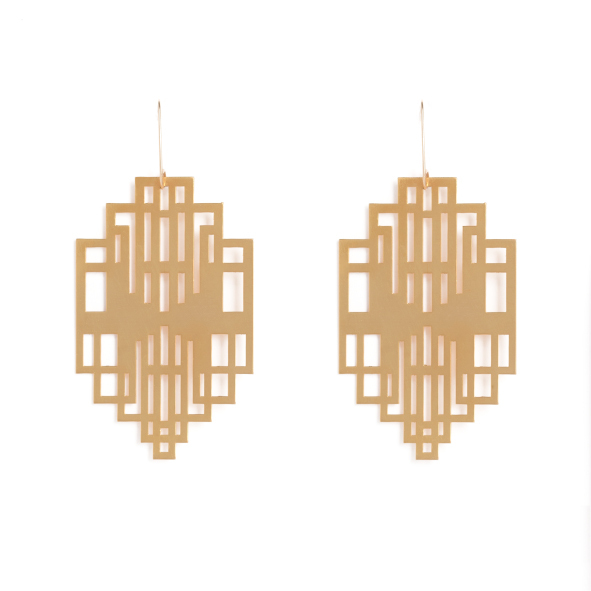 The Art Deco styling of this 1940’s building is re-imagined for our new collection as a dramatic pair of golden drop earrings that echo the terraced form of the building. 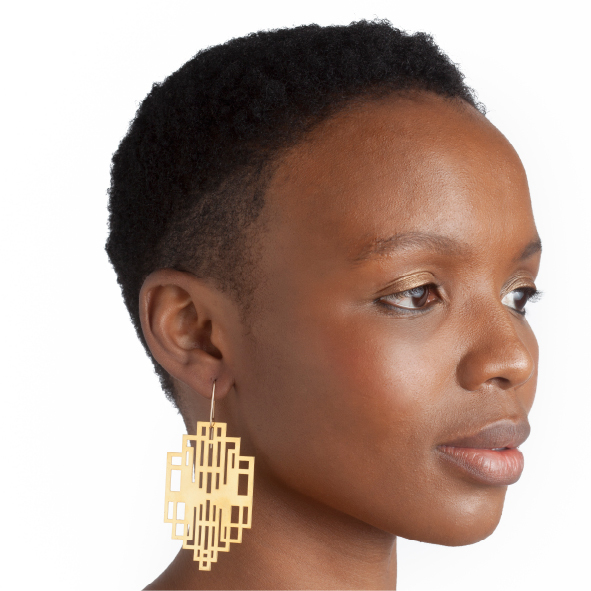 Available in yellow gold plated brass with rolled gold hooks. Size: 6.2cm long x 4cm wide on elegant drop hooks. Notify me when Mutual Heights is available.